I don't know why counting money isn't in the first grade CCSS, but I refuse to give it up. It's so fun to teach, it's easy to connect to real life, our second grade team wants us to keep it in our curriculum and let's just be honest, kids need to learn to count money. So I'm still teaching it. I use my calendar time to introduce money and allow my students to practice recognizing coins and their values throughout the year. 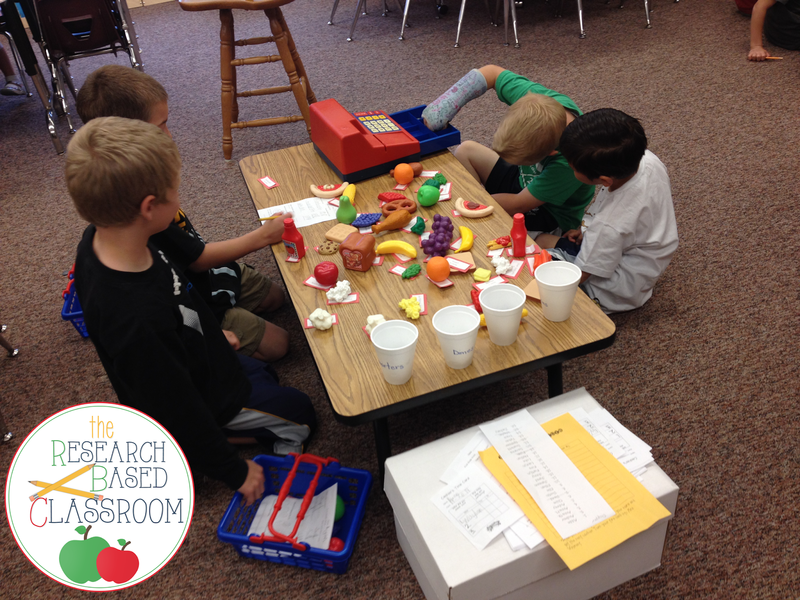 But when it comes time to bring it to life, I open up a classroom store during math centers. This is a great center for first or second grade. I steal the food, register and baskets from home, but they can be purchased from Lakeshore. The cups are labeled pennies, nickels, dimes and quarters and filled with coins for the shoppers to use. I'm using play money, but you can also use real coins. I make small slips telling the price of each item. Here is where you want to differentiate for your class, choose numbers that challenge your students. In second grade you can also use dollars to make it more difficult. 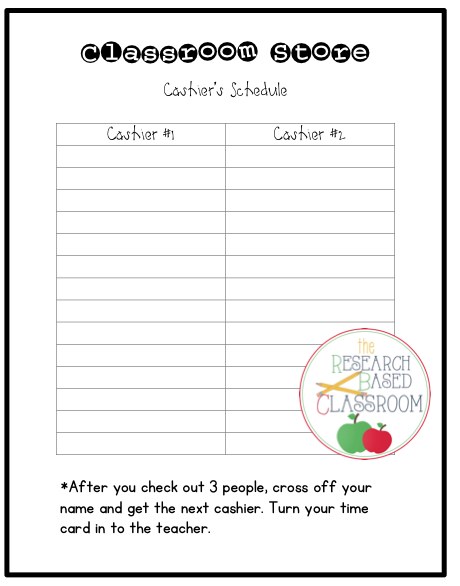 Print out one cashier schedule for the class. 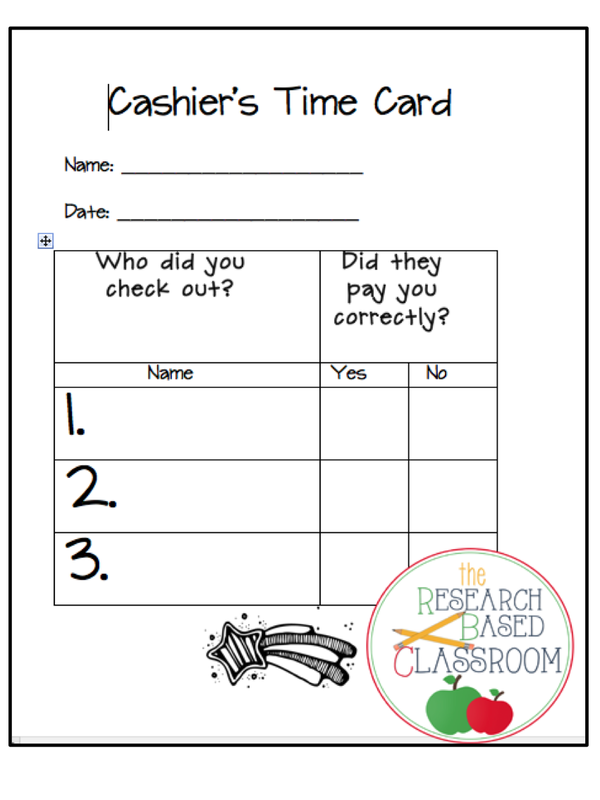 For each student print one cashier's time card and three purchasing sheets. Click on the images to download each printable. I leave the store set up for a week to use during math centers. 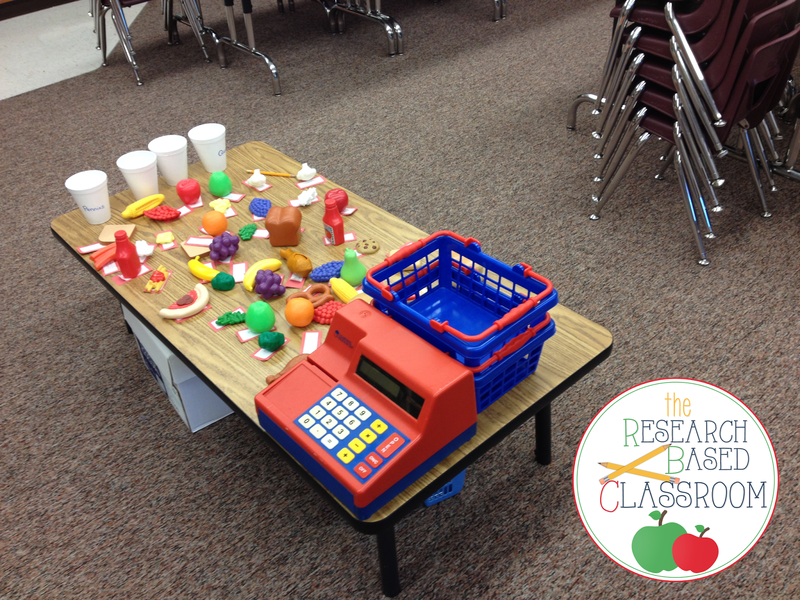 Each student will be the cashier for three students and also play the shopper three different times. Each shopper must choose three items, record his/her purchases, add up the amount of the purchase, count out the coins to pay and return to the cashier with the exact money to pay. The cashier will use the register to add up the total purchase and verify that the shopper is paying correctly. If there is a discrepancy, the cashier and shopper must work together to find the error. 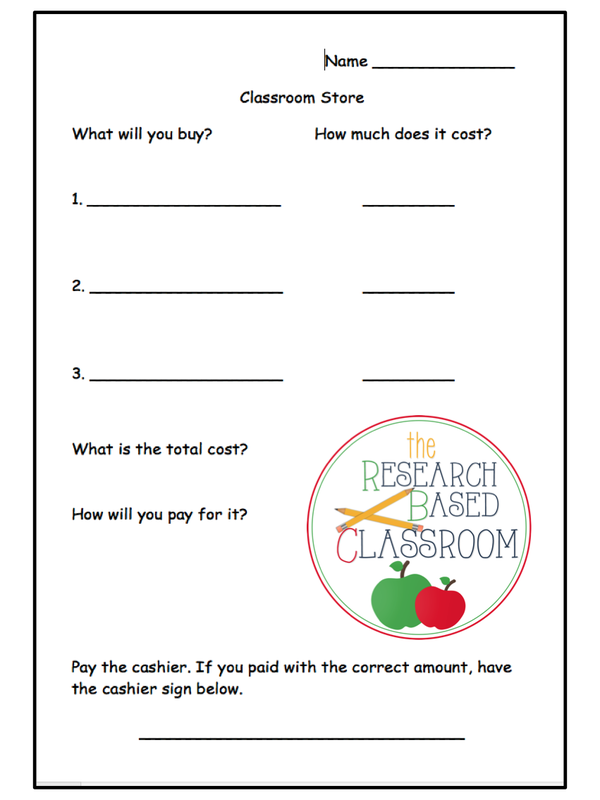 Easy to set up and fun practice with money while making connections to real life math.